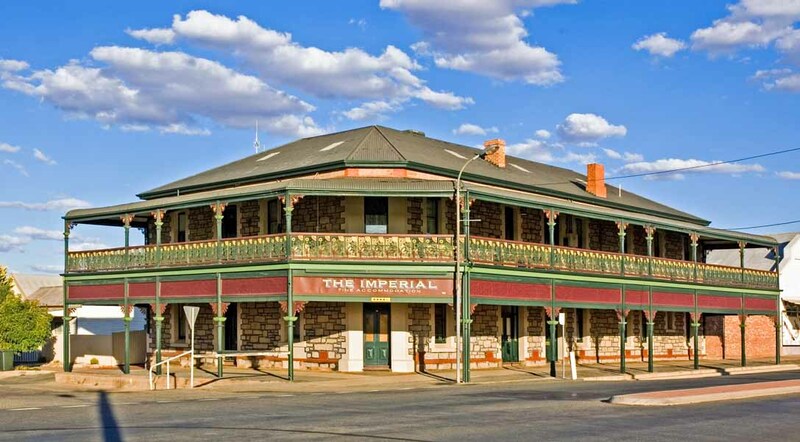 The Imperial is the only 4.5 star facility in Broken Hill providing guests with on site off street parking, relaxing gardens and a refreshing swimming pool. Come and immerse yourself in the history of this fascinating industrial and artistic community on the edge of the desert, while luxuriating in the comforts of one of its oldest and most carefully restored buildings. We can guide you to various galleries, museums and other places of interest, or arrange one of the local tour companies to collect you from the front door and return you again – 4WD or luxury coach, it’s all available to you during your stay at The Imperial. As a member of Outback Beds accommodation network, we are able to assist you in choosing your next destination north, south, east or west, for another warm welcome and a comfortable “stay in the Outback with friends”.